You know him inside out yet you struggle to pick the perfect present for him. You do not have to continuously struggle to come up with good ideas to surprise your husband. 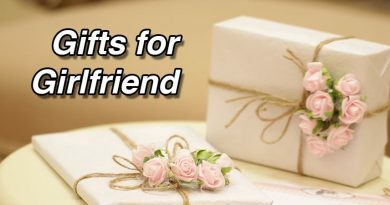 Here is a compilation of the ultimate gifts that you can present your husband for this New Year. 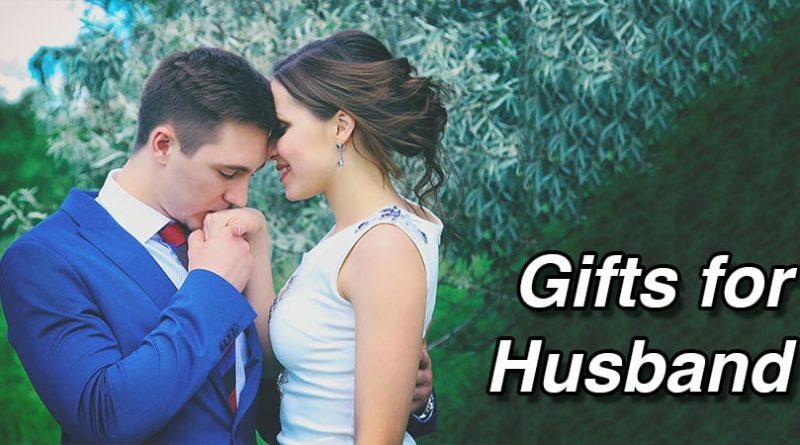 These best New Year gifts for husband ideas will help you in successfully lavishing your beloved one with the perfect present. This post will help you pick the best gifts for husband on New Year. You can never go wrong with a desk calendar that has been customized with your fondest memories with him. It will make his workspace more cheery. You can provide your favourite pictures one for each month. This will make him cherish all the wonderful memories that he has spent with you. The size of the calendar can be customized as per your wish. A plethora of trendy and sleek ball pens featuring a metal body are available these days. What adds to their worth is when you choose to wrap this in a special gift box along with customization. You can have your husband’s or your name engraved on the pen. This will remind them of you whenever they would use the pen for any practical purpose. This would make an ideal gift for your husband who uses pen frequently. Opt for a unique and contemporary design to make the gift extra special. With customization becoming a favorite when it comes to gifting, you can consider personalized wooden pen and key ring to surprise your beloved husband this New Year. You can consider opting for pen and key ring crafted from hardwood and customized either with your husband’s name or with the logo of your husband’s company. You need to make sure to provide the exact content to be printed on the pen or the key ring so that the service provider can have it either etched or engraved on the object. Etching would not fade the matter away upon washing or rubbing the product. Engraved pens are treated as prized possessions by many. If you think your husband would be delighted to have a customized pen and key ring, then you should consider gifting him one this New Year. Night lamps have a charm of their own. They set the perfect, soothing ambiance in the bedroom. If you are brainstorming ideas to surprise your husband during New Year celebrations, then you can consider a LED night lamp for the purpose. Do not just go for any other night lamp. Instead, you can opt for a customized night lamp featuring any message or images of the great times that you have spent together. The night lamp would breathe life into all your memories as soon as it turned on. Personalized photo collages make perfect presents no matter what the occasion is. If you have been looking for that perfect present for your husband, then you should consider gifting him a personalized photo collage with highlights of the great moments shared with him during this year. You can also including small wishes that would uplift his spirits. This would undoubtedly make one of the best gift for husband on New Year. Wallet, key ring and pen combo make an exclusive gift set for men no matter what the occasion is. Men obviously make good use of wallets. Opt for a wallet crafted from sturdy material. Do look into the durability as well as the design before choosing any design. You should consider a design that would go well with both semi-formal and formal wear. If you do not know how to pick the perfect wallet for your husband, then there are certain parameters that you can consider. Look into the compartments available in the wallet. Do not forget to consider the convenience factor. It should be easy to carry and hold. If there are enough compartments to keep the cards, then it would be an added advantage. Your husband would appreciate your thoughtfulness. Make sure that the pen and key ring feature a classy design and complement the overall look. Who said pocket watches are outdated? Men still adore these classic time pieces and cherish them forever. Who would resist appreciating and admiring a present that comes with a personal message? Just get it customize it with thoughtful statements such as “I will love you until the end of the time” and wait for your husband’s reaction. It is certainly going to be nothing less than priceless. Does your husband need a little help when it comes to planning and organizing his calendar? If yes, then there cannot be a better present for him apart from a daily planner. A stylish modern planning kit is all he needs to start a fresh year with a bang. A planner would certainly assist him in handling things in an efficient manner. Do you want more New Year gift ideas for husband? How about getting a personalized wall mural? You can submit a photo that means the most to your husband and have a large wall sticker designed as per your instructions. A special message would make the present much more special. You can get the digital pattern of the sticker customized as per your requirements. This would make a perfect present for him for New Year. Give a modern touch to your bedroom or his favorite place in your apartment this New Year. He will surely appreciate your thoughtfulness in choosing the present. Picking perfect New Year gifts for husband is not as difficult as you consider it to be. 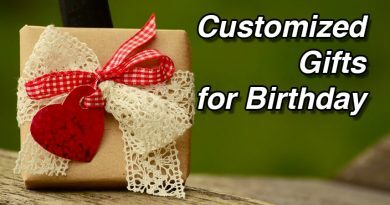 You just need to be open to experimentation and willing to customize to add a special touch to any present. 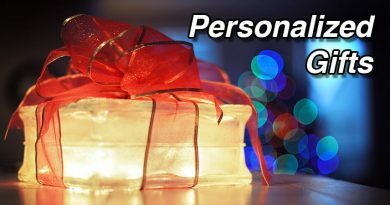 How about presenting your beloved with a personalized photo lamp? A lamp that radiates his fondest memories is certainly going to make him jump with joy. This present would remind him of the memorable times that he has spent regardless of you being around or not. He will miss you as soon as he would turn on the lamp if you are not around him. Don’t you want him to remember you in whatever he does? We hope that you have liked our top 10 New Year Gifts for Husband. If you have more gift suggestions feel free to let us know in the comment box below. All the above gifts can be bought online from Amazon and get it delivered to your home.